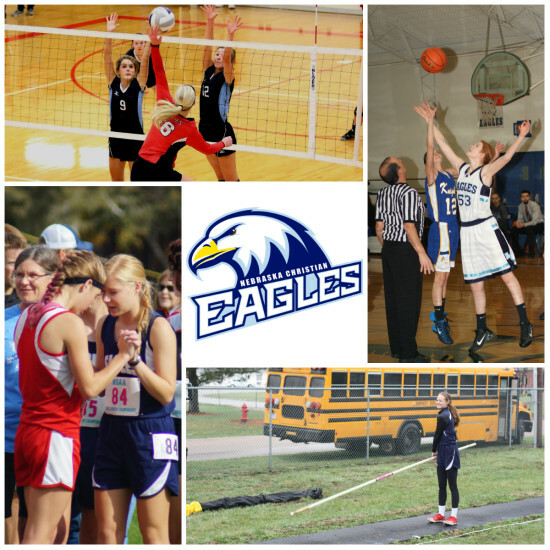 Nebraska Christian Schools offers a variety of athletic opportunities for its junior and senior high students. We believe that it’s important for students to learn to apply the principles they learn in their Bible classes to every part of their lives including athletics. Lifelong skills and biblical principles such as unity, teamwork, encouragement and excellence are taught and encouraged by coaches. Teams compete against area schools in varsity and JV contests. NC is a member of the Nebraska Schools Activities Association (NSAA) and the Goldenrod Conference. For information regarding eligibility of transfer students or for other questions, please contact our Activities Director. For game times, please see our school calendar.